The story of Khao Sok National Park begins almost 300 million years ago. Back then, Khao Sok was just a sedimentary deposit of sandstone and small rocks. These minerals sat at the bottom of a very long river. 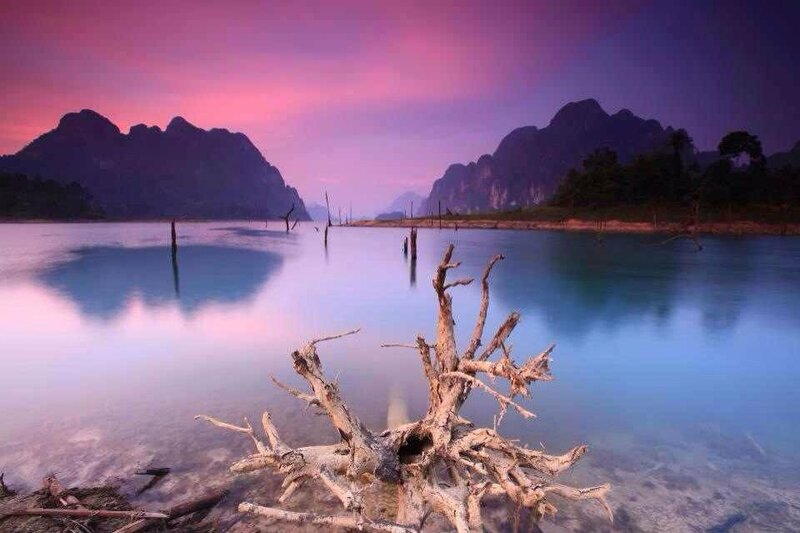 As the riverbed began to harden, Khao Sok took it’s place as part of a massive coral reef. This reef reached from Borneo all the way to China, an area 5 times the size of the great barrier reef. As the tectonic plates shifted, many of Khao Sok´s massive sandstone deposits were pushed upward creating dramatic limestone cliffs or “karsts”. The area rested peacefully for the last 60 million years while supporting the formation of an evergreen tropical forest which is much the same today as it was then. In 1961, a transcontinental highway was completed by Chinese investors. 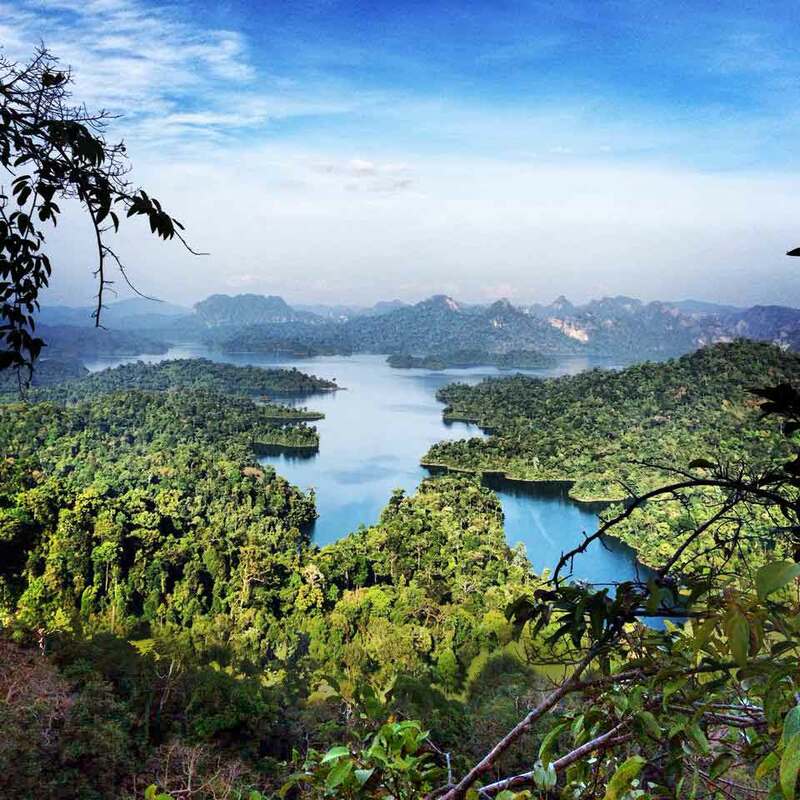 This opened Khao Sok to the risk of logging, tin mining, and clear cutting for palm and rubber farming. Urban citizens of Surathani alongside rural-dwelling communist rebels protested the forests’ destruction for years. Finally their reprieve came in 1980, when a forestry official named Thani Pamornniyom was able to obtain a royal decree to establish the Khao Sok National Park boundaries. He was also able to block a proposal for aerial logging, which he felt would destroy the beloved forest. Asia was politically unstable in the 1960’s and 1970’s as the cold war spread through the east. 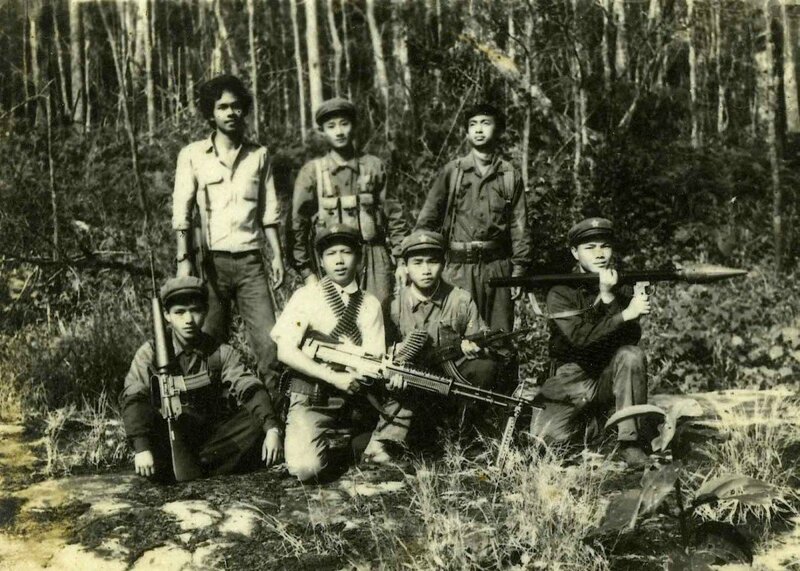 The overgrown jungle, steep mountains, and large caves proved easy refuge for a spirited group of Communist insurgents. This struggle makes up part of the local folklore and is representative the rebellious individualism in which the locals still take pride. Even today, hikers can see simple tables and benches left over from a school in one of the local caves. It is believed that the danger created by these resistance groups is a large part of the reason why developers and logging companies left the area undisturbed. The Khao Sok National Park contains Thailand’s largest virgin forest and is older (and more diverse) than the Amazon jungles of South America. Stretching across 739 square kilometers, it is estimated to contain over 5% of the worlds species. Within this, only 30% have even been identified! The area is known for it’s dramatic towering limestone cliffs, breathtaking waterfalls, colorful wildlife and easy route access. Khao Sok National Park has been a favorite Southern Thailand destination since its inception in 1980. Breezy and beautiful most of the year, the weather is influenced by monsoon winds from both the Indian and Pacific Oceans. Often referred to as “the wettest spot in Thailand,” this glorious lowland jungle is teeming with life. Immense biodiversity and the curious colors of the many indigenous creatures are just a few reasons to explore. Rainy season begins in late April and lasts until December, with the heaviest rains between May and July, then October and November. But don’t let that stop you! The rain is often a welcome respite to the tropical heat. 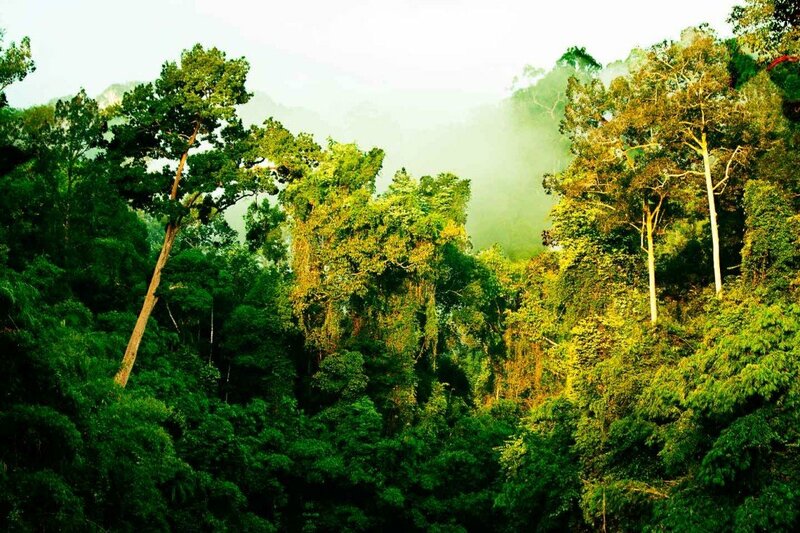 Not to mention the fact that … it is the RAINforest! Cheow Lan Lake makes up the northern border of the National Park. Past this lies the gateway to Klong Saeng wildlife Sanctuary. The majority of our adventures at Khao Sok Lake take place here. As the Thai language is often difficult to transliterate, you may find the lake listed under a myriad of spellings, here are some of them: Chiew Lan, Chiew Larn, Cheow Lan, Chiaw Larn, Cheow Larn, Chiaw Larn, and Chieow Laan. From breath taking limestone cliffs and vigorous hikes, to exciting cave explorations only possible by long tail boat; Khao Sok Lake is a dream vacation destination. Whether you’d like to go fishing in the deep seclusion of the wildlife sanctuary, do a trek or hike in the world’s oldest jungle, swim amongst nature at night or just relax on the deck of your floating bungalow, Khao Sok Lake has an adventure for you! We pride ourselves on providing access to every possible destination on the Cheow Lan Lake. We work closely with local guides and service providers to offer a full range of options. This is all an effort to maximize your vacation time and allow you to see as much as possible. It is our mission to provide Khao Sok National Park Tours that show what this magical destination has to offer! Some of the many wild animals found in the Khao Sok National Park include: Malayan Tapirs, Asian Elephants, Black andClouded Leopards, Golden Cats, Leopard Cats, Sambar and Barking Deers, Malayan Sun Bears, Gaurs, Bantengs, Serows, Binturong (bear cat), Wild Boars, Pig Tailed Macaques, Langurs, White-handed Gibbons, Squirrels, Muntjacs, Woodpeckers, Fish Eagles, Kingfishers, and Hornbills.